Who does not care about having healthy, vibrant hair? Nothing can subtly or drastically boost your looks and lift up the spirit like a new hair color! It can sometimes be a difficult choice in choosing which coloring dyes to use as there are countless options available. If you are looking to change up your image with some new colors, a henna hair dye can be one of the best options to consider! Henna hair dye comes from the leaf of the henna plant. Lawsonia inermis is the scientific name it is known by. The tradition of using henna began over 9000 years ago in North Africa and the Middle East. Today, the tradition of using henna on the body and as a hair dye continues with Americans and the Europeans. It is simple to use with lots of amazing benefits. More importantly, you do not have to worry about chemical side effects that can ruin the health of your hair in the long run. 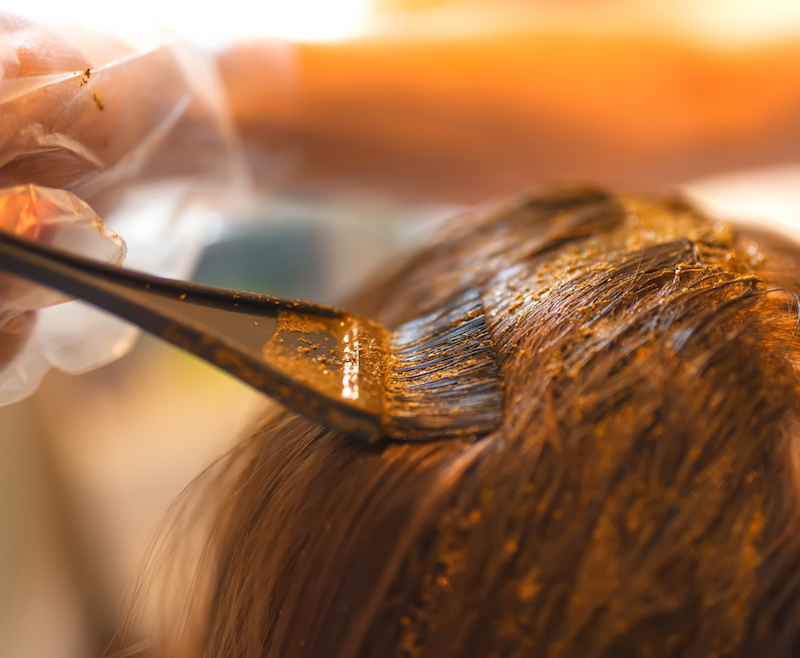 In contrast to traditional hair dyes, henna hair dye is a chemical-free way to bring some changes to your looks. If you have never used henna hair dye before, then it can be the perfect start for you. Let’s have a better look at some of its benefits. Very few people know about the benefits henna hair dye can give. If you are dealing with hair loss or if your hair is turning grey, henna hair dye can be the perfect option. It is not only great for graying hair, but it will leave the hair stronger, thicker, and healthier. You can reapply a henna hair dye on a regular basis which will add a more natural shine without chemical irritants or additives. Henna is anti-bacterial and anti-fungal which controls itching of the scalp, helping to reduce hair loss. It also restores the alkaline balance of the scalp without affecting the natural balance of the hair. Its natural ingredients will help to reduce hair loss while covering those grays. Henna can bring the life back into your hair and improve hair growth overall. It is a powerful dye that has conditioning properties; turning dry brittle hair into hair that is manageable, soft, and shiny! In addition to coloring, henna has properties that can benefit relaxed, processed, and natural hair. When applied, its protective coating seals the hair shaft. The result is thicker, stronger and protected strands, reducing breakage – promoting faster hair growth. Using henna on a regular basis helps to prevent dandruff and keeps it from coming back. Applying a henna hair dye is simple and easy. You do not have to leave home for this. Before coloring your hair, you will have to moisten it slightly with water. Henna will cling better to damp hair. After that, you will use a little olive oil and massage your hair with a few drops. You will need to mix henna with water in a mixing bowl. If you want to add some fragrance, you can use different oils like cinnamon or lavender. Apply henna to the hair gently and softly. If you want a lighter shade, you can wash your hair after one hour. If you want to achieve a darker shade, leave the henna on the hair for about three hours and then wash it properly.